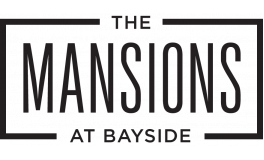 Welcome home to the Mansions at Bayside! This premier apartment home community offers an exquisite environment for those looking for a home in an amazing location with a beautiful view. These apartments outside of Dallas, TX, offer something for everyone from any background and any lifestyle. You’ll definitely find something to love about this community, whether it be the beautiful location around the community, including the beautiful lake Ray Hubbard, or our own high class amenities helping you truly experience luxury. The Mansions at Bayside provides you a home that has all the comfort and convenience with a fun adventure around the corner! Our community is the perfect place for you to find your fit. Choose from multiple one-, two-, three-, and four-bedroom floor plan layouts. We also know that pets are very important to many of our residents, and as such, we’ve made our entire community pet friendly. So bring your furry friends with you! They’ll love it as much as you will. Enjoy world class amenities like you’ve never experienced before. Our 24-hour onsite high-tech fitness center features cardio, free weights, and training stations. Or enjoy our lakeside clubhouse complete with a pier for your enjoyment. We even have an outdoor entertainment kitchen. Our one- and two-car garages makes it easy for you to head out without having to worry about battling the weather. Relax and enjoy a walk on our lakefront walking trails, or grab a group and socialize in our community outdoor Wi-Fi- lounge. Experience the beautiful, picturesque layouts of your next home with our photo gallery here online, and then take the tour in person to see the open-concept designs for yourself. Your next luxury home is just a click away, ready and waiting for you! Connect with us today!